In the first half of 2011, due to the rapid growth of the domestic economy and the slow recovery of the international economy, China's import and export situation in the first half of 2011 was buoyant. In the international market, due to industrialized countriesâ€™ efforts to reduce industrial production costs, Chinaâ€™s molds still have competitive advantages and foreign trade conditions are relatively good. According to the International Model Association Secretary-General Luo Baihui, the total import and export of molds during the period from January to June this year was 2.479 billion U.S. dollars, of which imports totaled 1.109 billion U.S. dollars and exports totaled 1.371 billion U.S. dollars, compared with the same period of last year. The volume increased 24.39% year-on-year, of which total exports increased by 37.93% year-on-year, and total imports increased by 10.91% year-on-year. Luo Baihui, secretary-general of the International Association for Modeling, pointed out that there are seven major factors that affect the development of China's mold foreign trade in the second half of the year. First, the stabilization of the global economy will help stabilize China's external demand. In the second half of 2011, foreign demand is still the most important factor affecting China's exports. Affected by the global economic recovery, the external environment of China's exports will also improve. However, we must also note that the foundation for the recovery of the global economy, especially the developed economies, is not yet stable. Not only is the pace and level of economic recovery uncertain, but there is also the possibility that the economy will reach a bottom second. If external demand resumes or fluctuates later, Chinaâ€™s exports will face greater external pressure. Second, the continuous adjustment of domestic policies will further support exports. Continuously increasing the export tax rebate rate for some products, re-adjusting the catalogue of restrictions on processing trade restrictions, maintaining a basically stable RMB exchange rate against the US dollar, and strengthening credit support for export companies have played a positive role in preventing excessive export declines in the first half of this year. In the second half of the year, these policies will play a greater role in stabilizing exports. Third, changes in the global export structure will help stabilize China's exports. After the crisis broke out, there were some adjustments in the structure of global trade products. Luo Baihui believes that in the context of diminished income, consumer demand for lower-priced products has generally increased. This is reflected in tradeâ€™s increased demand for labor-intensive products, stable prices, and even rising prices. It is expected that this trend will continue in the international market for some time. At this stage, Chinaâ€™s export structure is still dominated by labor-intensive products, and the international marketâ€™s demand for Chinaâ€™s inexpensive exports is relatively small. Fourth, the low cost of domestic export product production is conducive to China's export price competitiveness. In the first half of the year, due to factors such as the recession in the global economy and the decline in domestic exports, and a significant slowdown in economic growth, the cost of domestic labor and raw materials fell, which is conducive to reducing the production costs of export products. The reduction in production costs of export enterprises has led to an increase in price competitiveness and has played a supporting role in improving exports. In the second half of the year, although the prices of international raw materials may rise to some extent, the domestic price level may further decline. Large-scale employment pressure also leads to difficulty in rising wages. Therefore, the production costs of export enterprises will continue to be kept at a relatively low level. It will help maintain the price competitiveness of our export products. Fifth, trade protectionism will increase the difficulty of expanding exports. Under the background of increasing international trade protectionism, China, as the worldâ€™s third largest trading entity and second largest exporter, has become the main target of international trade friction. It is expected that trade protectionism against China will continue at a relatively high level in the second half of the year. In addition, some of the investigations in the previous period will enter the adjudication process, and Chinaâ€™s related exports will be materially affected. 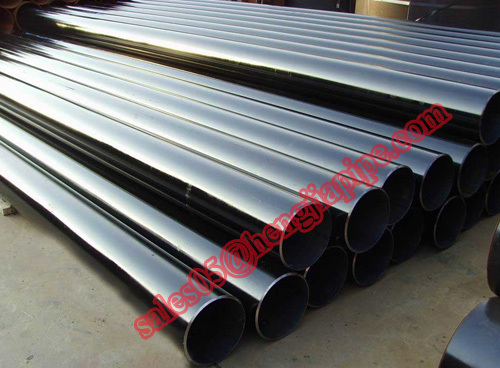 ERW PIPE is high-frequency Electrical Resistance Welded Steel Pipe,The hot rolled coil is formed by forming machine,use the skin effect and proximity effect of high frequency current,make the edge of the tube heat and melted,weld it under the action of the extrusion roller to achieve to produce . API Spec.5L, ISO3183, China GB/T9711 etc. and the additional technical speciï¬cation required by the end user. 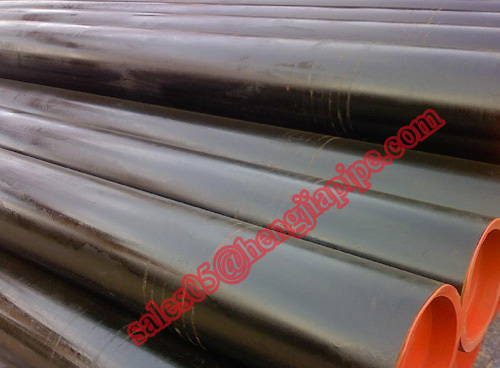 The ERW pipe is widely used in long distance pipeline project for transmission of oil, natural gas, water, coal gas, mineral slurry etc., and also is applied in engineering such as chemical industry, electric power, irrigation, construction and piling etc.